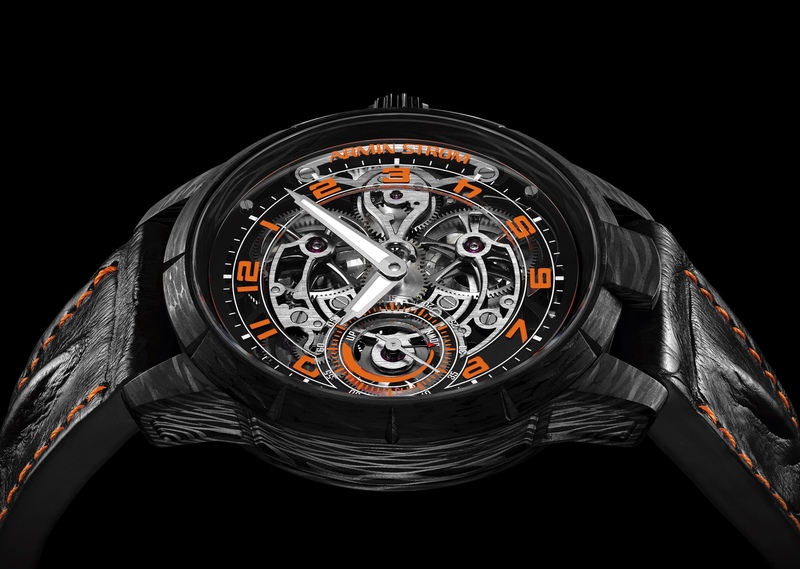 At Baselworld, Biel-based manufacture Armin Strom launched a new collection of micro rotor equipped automatic timepieces. 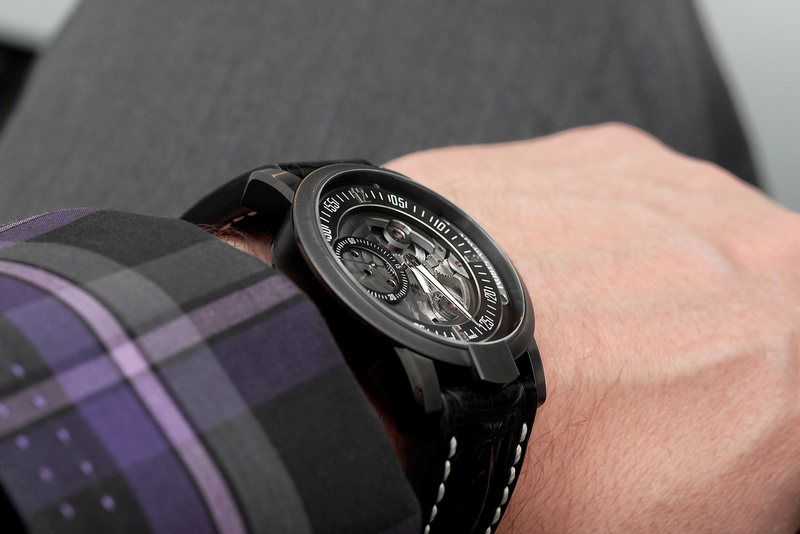 Uniquely, the in-house movement has a dial side micro rotor with an opening that proudly displays it in the lower right quadrant of the dial. The dial ring is off center and features printed hour and minute markers. A small seconds sub-dial is located at 9 o’clock. The hour, minute and second hands are mirror polished. The hour and minute hands are luminescent. An “Armin Strom” logo plate is screwed onto the dial, vertically, at 3 o’clock. The manufacture made movement, caliber AMR13, runs at 2Hz, has 171 components (32 of which are jewels) and a 5 day power reserve. The going barrel is made of special brass. The plates and bridges are highly decorated and feature unique hand engravings ( a signature of the brand). 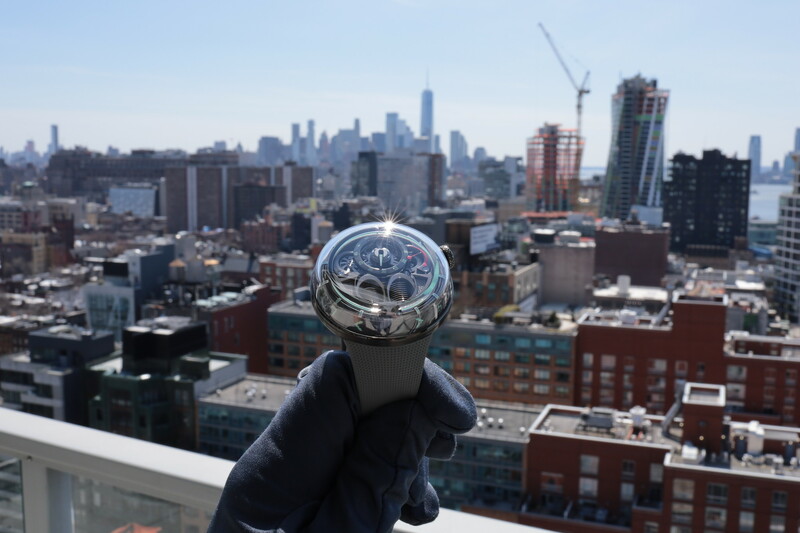 The balance features gold adjustment screws. 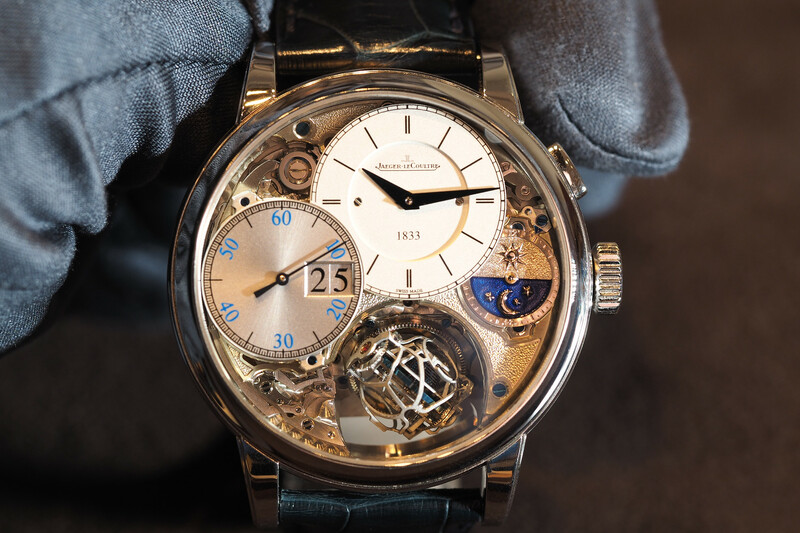 Adjusting off the mass moment of inertia by four four clamped steel screws, and a Breguet spiral curve.